This is no April Fool's Day joke— the legendary Arthur Frommer visits and gives you the latest info to make travel fun and safe. He discusses his new ASK ARTHUR FROMMER: AND TRAVEL BETTER, CHEAPER, SMARTER. Arthur Frommer is currently considered a "single author." If one or more works are by a distinct, homonymous authors, go ahead and split the author. 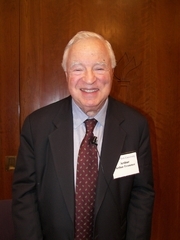 Arthur Frommer is composed of 3 names. You can examine and separate out names.